As I previously mentioned I'm starting the Nutrisystem program today. I have to say I am very excited to get going on this journey. I'm tired of feeling sluggish from not eating or exercising properly. With Nutrisystem I'm going to basically teach myself and my body that it doesn't need all the sugars and added calories to survive. 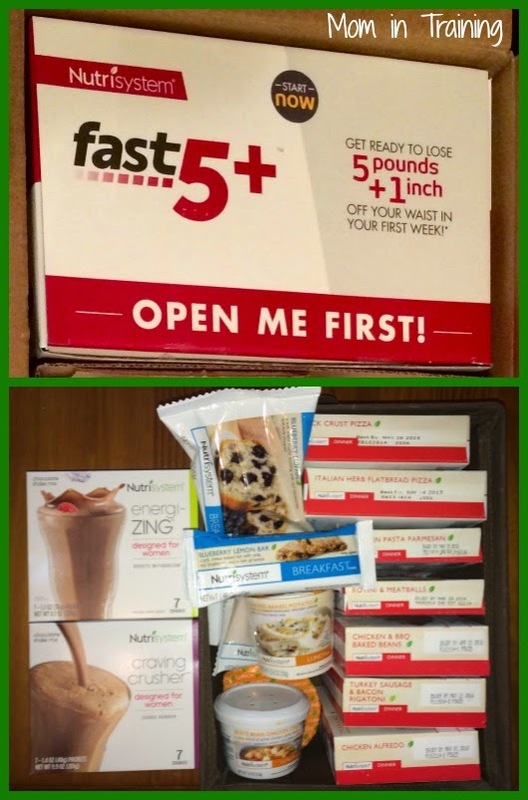 I'm super excited about my new partnership and have already started my day with the Fast 5+ program. 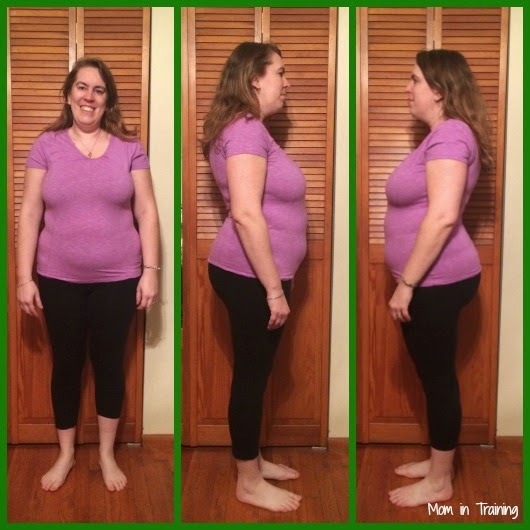 With the Fast 5+ program you'll drop around five pounds and one inch around your waist in the first week. This week is basically a boot camp for your body and is much more structured that the following weeks. I'll only be eating the foods pictured above (energi-Zing shakes, craving crusher shakes, breakfast bars/muffins, lunch bars/soups, and dinner meals) plus I can have four or more non-starchy vegetables a day. When you look at it it may not seem like much, but when you put a whole days worth in front of yourself plus the vegetables it's not that bad. So now for the not so fun part. This is me in all of my extra glory. My husband and I were discussing after we took photos of each other last night how a picture revels it all. I didn't realize just how bad I looked until I saw them. In a mirror I guess you see what you want to, and I didn't think I had gotten that far out of shape. Well, I'm here to confess I have and I'm ready to make a change! I am so thankful to be part of the Nutrisystem blogger group and to have the opportunity to shed these extra pounds and get my life back on track for my sake and for my family. NutriSystem offers you an online community filled with recipes, discussion boards, online support, lots of great information about their products, and a logging system for you to record what you eat, your weight, measurements and a journal for anything you'd like to document along the way. I downloaded their app to make it super easy on myself so I can record my information as soon as I have it. You also get a paper log in your kit if you prefer to do it that way too. Basically they provide you with everything you need to be successful in your weight loss journey. They want to see you succeed as much as you want to succeed. I'll of course be keeping you up to date with my progress through weekly blog posts as well as through social media throughout the week. You can find all of my social media accounts on the right sidebar of my blog if you'd like to follow along. I'll be tagging all shares with #NSNation. I'm being provided the Nutrisystem program in exchange for participating in their blogger program. However, all thoughts and opinions stated along the way are my own. We're in this together! We can do it! Good luck! I think that si why I hate people taking a full shot of me. Face shot I don't care but entire body I'm cautious about.